San Marcello Pistoiese (ZIP code 51028) is 30,1 kilometers far from Pistoia, that is the Chief Town of the homonymous province to whom the municipality belongs. San Marcello Pistoiese has a population of 7.140 inhabitants (Sanmarcellini) and a surface of 84,7 square kilometers thus showing a population density of 84,30 inhabitants per square kilometer. It rises 623 metres above the sea level. The City Hall is located in Via Pietro Leopoldo 10/24, phone ++39 0573 - 62121, fax ++39 0573 - 630623: the E-Mail address is urbanistica.smarcello@cosea.org. 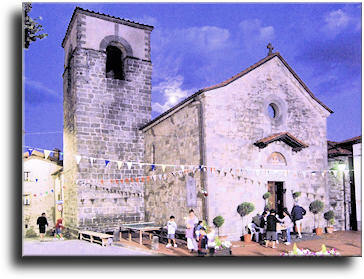 Population: The municipality of San Marcello Pistoiese had a popolation of 7.698 inhabitants accordingly to the results of the national census made in 1991. After the national census made in 2001 the population was 7.140 inhabitants, thus showing during the years 1991 - 2001 a percentual variation of -7,25% inhabitants. The inhabitants are distributed in 3.276 families with an average of 2,18 people per family. The place: The territory of the municipality lies between 400 and 1.881 metres above sea level. The altimetric spawn is thus of 1.481 metres. Work and workers:There are 105 industrial firms employing 761 people that are the 24,69% of the total of the workers. There are 177 service firms employing 312 people that are the 10,12% of the total of the workers. There are also 239 firms employing 784 people that are the 25,44% of the total of the workers. There are also 47 administrative offices emplying 1.225 workers that are the 39,75% of the total of the workers. There is a total of 3.082 workers, that are the 43,17% of the inhabitants of the municipality. San Marcello Pistoiese rises in the valley extending along the left bank of the Lima torrent. The local economy is mainly based on the production of cereals, fruits, vegetables, on the sheep-farming, on the activity of numerous mechanical and metallurgical industries and on tourism, also thanks to the beauty of the places and to the presence of numerous fine and qualified hotels. 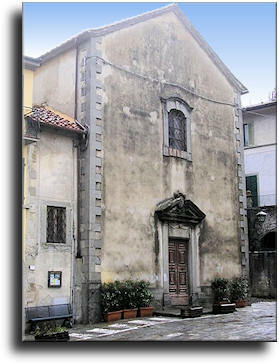 The place name probably comes from the name of a Parish Church entitled to the homonymous Saint Marcello and in 1863 the specification "Pistoiese" was added to indicate its belonging the district of Pistoia. The first residential settlements in the territory of San Marcello Pistoiese go back to the Roman Age, as testified by the numerous archaeological finds of some sepulchres dating back to that time. Nevertheless the real consolidation of the village occurred during the Middle Ages, when it was under the government of the Count Guido Guerra. The family of the Guidi's Counts dominated for a long the village of San Marcello Pistoiese that during the first half of the XIII-th century was already well fortified. At the end of the same century the village equipped itself with autonomous statutes and for a short time it escaped the influence of Pistoia. At that time San Marcello Pistoiese subdued the consequences of the internal conflicts existing between the two local families of Cancellieri and Panciatichi that ended only near the middle of the next century with the Panciatichi's victory. 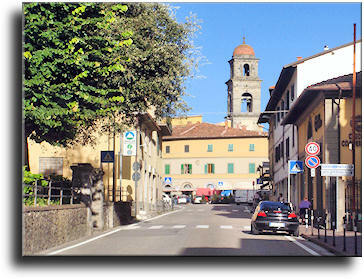 Pistoia subdued the village of San Marcello Pistoiese again to its influence, making it the seat of the so called "Captainship of the Mountain", to which the close locality of Cutigliano took part too. At the beginning of the XV-th century the Cancellieri, supported by the Milan troops of the Visconti's family, besieged with no result the city of Pistoia that later was conquered by the Republic of Florence and annexed to the Florentine countryside with the all its possessions, among them there was also San Marcello Pistoiese. Entered the orbit of Florence, San Marcello Pistoiese shared the political and economic chances of this latter, being governed first the Medici's Grand Dukes and then by the Lorena's Dukes. At the beginning of the XIX-th century the territory was invaded by the French troops leaded by Napoleono Bonaparte that stayed on until 1814, when San Marcello Pistoiese entered the Tuscan Grand Dukedom, under the Lorena's Dukes. In 1861 San Marcello Pistoiese was annexed to the Reign of Italy by the King Vittorio Emanuele II of Savoia. Among the most important monuments to see in San Marcello Pistoiese we point out here the Parrocchiale di San Marcello (Saint Marcello Parish), the Oratorio di Santa Caterina (Saint Catherine Oratoty) and the remains of the Medieval village. Among the numerous celebrations periodically taking place in San Marcello Pistoiese we remind the traditional "Throwing of the Hot-Air Balloon" held yearly on September 8th on the occasion of the translation of the Saint Celestina's relics (Patron Saint of the town) from the Saint Ciliaca Cemetary in Rome to the Parish Church.